Culture Dump #19: What stops a “So-Bad-It’s-Good” movie from being Bad? A would-be vampire hunter leaves a trail of staked corpses across Bavaria, fully unaware that he's murdering innocent old men. The Story Behind The Worst Movie Ever Made - "Troll 2"
George Hardy: I was in a movie called Troll 2. 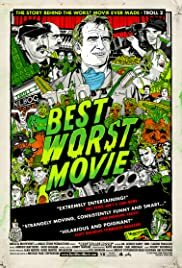 I'm a huge fan of bad movies and I'm particularly interested in the story behind these movies and how they got so bad. I've seen Troll 2 countless times and the narrative that has been developed about its production is incredible. So, I have been eager to see this documentary since I first heard about and went to a screening at the Music Box Theater recently. Overall the movie was very interesting. However, it did exactly what I was afraid it would do and focus the documentary on the "midnight movie" cult phenomena aspect of Troll 2 rather than its back story. It primarily follows George Hardy, the father from Troll 2, as he explores this strange, sudden form of fame. He seems very humble and gregarious, so his experiences in going to conventions and trying to persuade country folk to see Troll 2 are a little amusing, but they take up a huge portion of the film. Similarly, we see lots and lots of footage of the cast at Troll 2 midnight showings which, while colorful, takes up way too much screen time. It seemed as though the film was developed to appeal more a wider audience who is totally unfamiliar with Troll 2 or the bad movie culture. 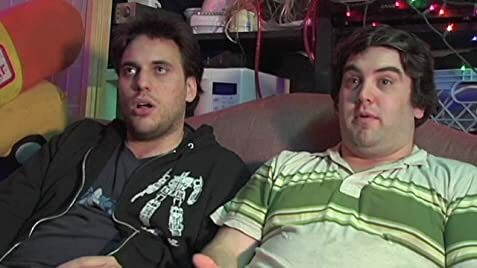 Everyone who is in the know (which makes up a vast majority of the film's audience because it is a small release) won't be too captivated by scenes that just show a couple of random friends hanging out in an AV room and getting others to watch Troll 2 for the first time. When the movie does explore the movie's origins and production history and interviews cast members, it is extremely entertaining. All of the story's rumors of unintelligible scripts and intended social commentary are all true. Many of the people involved with the movie are fascinating, if not heartbreaking, to see now. Grandpa Seth seems to realize he "frittered his life away," the general store owner relates that he was in a dementia/drug haze during production and was not quite aware he was in a movie, and Margo Prey (the mother) is a delusional, agoraphobic cat lady. Most interesting of all is the segments with director Claudio Fragasso. He actually believes the movie is great and it takes him time to understand that the sudden revival of the movie is ridiculing it. Eventually, he comes to terms with the criticism all the while still berating its cast members and insisting on his skill as a filmmaker. The documentary would have been considerably more interesting had he been its main subject. Overall, the film is definitely worth seeing, Troll 2 fan or not. However, it's frustrating to think would the movie could have been. Some scenes are amazing, but much of it is bogged down by footage of people in line for a Troll 2 showing screaming at the camera or George Hardy telling uninterested neighbors about his "piss on hospitality" scene.